0.41" dia. x 1.21" long. Operating temperature range -40°C to 105°C. Axial lead electrolytic. Made in Germany. 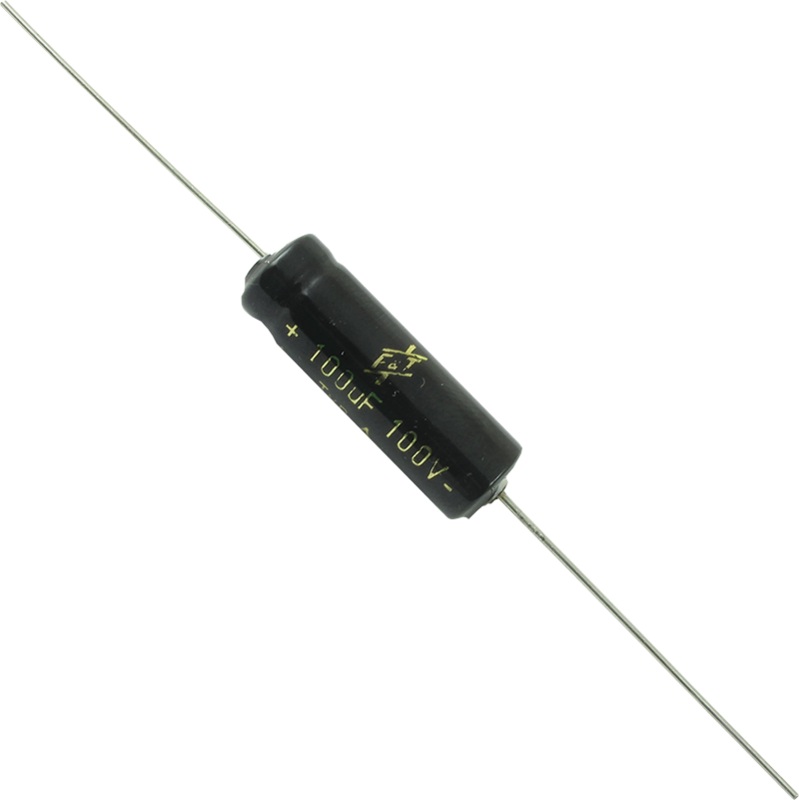 Founded in 1948 by Heinz Fischer and Alfred Tausche, F&T Capacitors has over 60 years of experience in producing some of the finest capacitors available today. F&T Caps are known for their great tone and reliability. Packaging Dimensions 4.5 in. x 0.5 in. x 0.5 in.